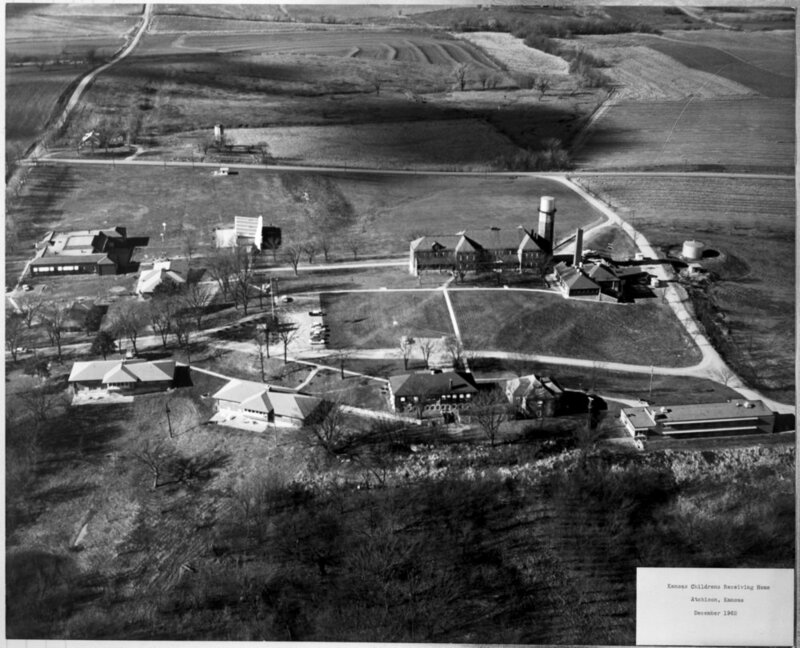 An aerial view of the Kansas State Children's Receiving Home in Atchison, Kansas. In 1887, Kansas opened the Soldiers' Orphan's Home in Atchison for children of Union soldiers and sailors. This was the first such facility in the state for children who had lost their parents. At first limited to veterans' children aged five and under, regulations were altered in 1889 to admit all "dependent, neglected or abused children" between the ages of two and 14. The name was changed to the State Orphans' Home in 1909 and in 1953 to the Kansas Children's Home, and in 1955 to the Kansas Children's Receiving Home.